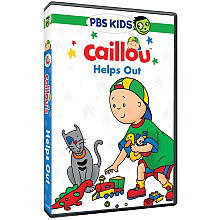 This DVD features seven episodes in which Caillou learns about the importance of helping out, doing what asked or assigned and cleaning up. 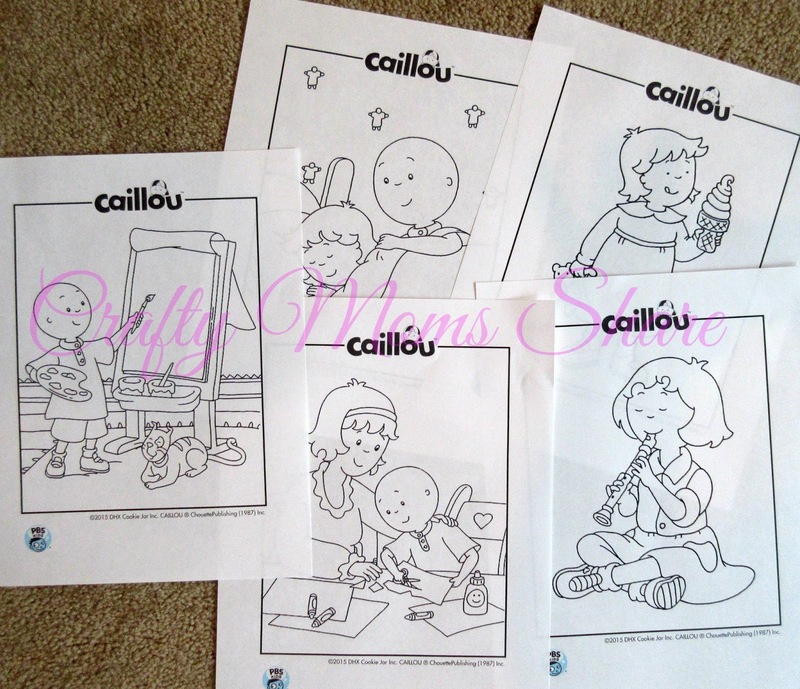 Many people complain that Caillou sounds whiny. I do not feel this way at all. I find his episodes to be fun and simple. His behavior seems to me like a typical four-year-old. Each episode is usually about one event in one day and he usually learns a skill or life lesson. This DVD was the same with seven lessons. Hazel and I both enjoyed it. 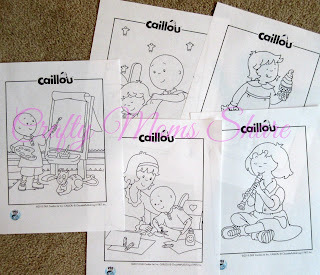 The DVD also has some pdf files on it for printables: coloring pages and a project to make your own Caillou picture book. Next is a new favorite show of Hazel's: Peg + Cat. Yes, I love that Hazel enjoys a math show!! 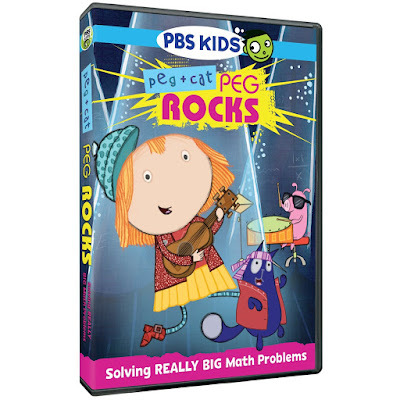 We received a copy of Peg + Cat Rocks. This DVD was released in March and has seven episodes on it. We really love Peg + Cat and I love that the episodes teach about math. 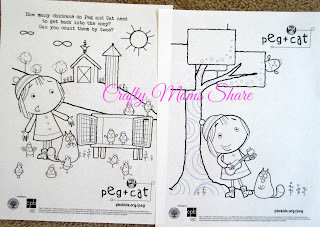 The math in Peg + Cat is simple, early elementary math. There are episodes about counting to 100 and about shapes. Each episode includes songs and more. 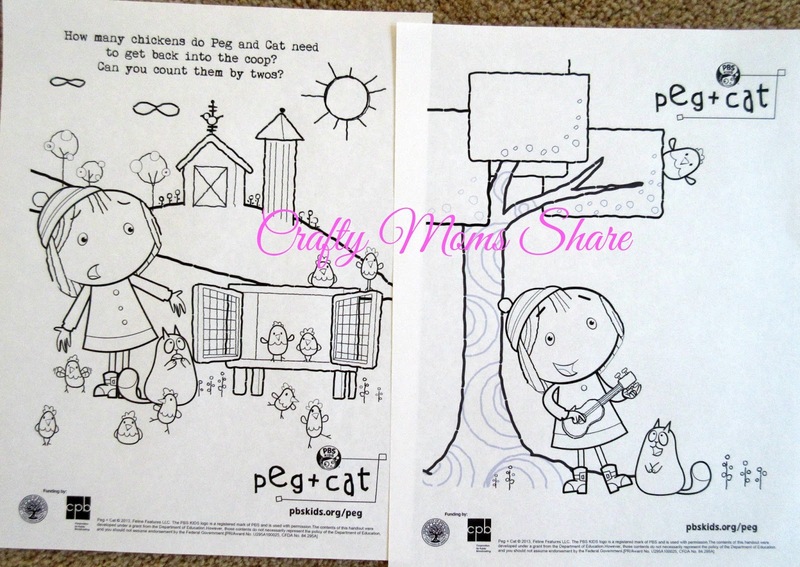 Hazel loves that Peg plays a ukelele like she does and has a cat. We really enjoyed watching this DVD as well. Hazel likes to watch Peg + Cat any time it is on. The DVD also has pdf files. 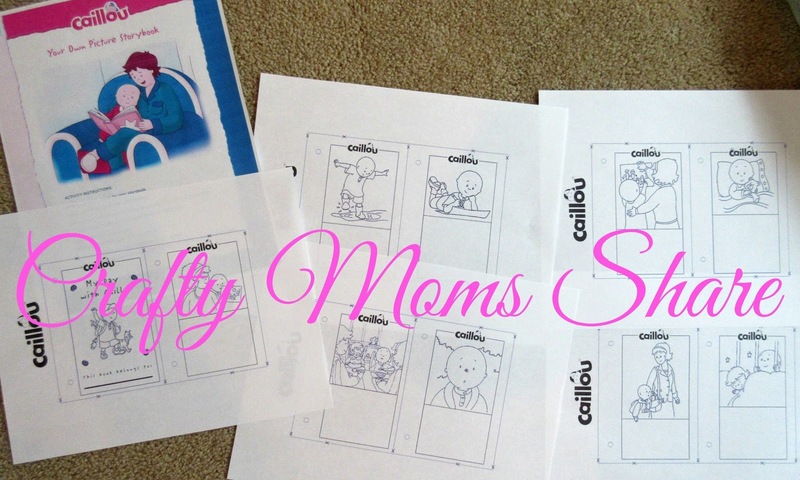 It includes two coloring pages. It also has many flip books, games and activities including making puppets and a puppet stage (all with patterns and/or backgrounds) and a beanie cat. 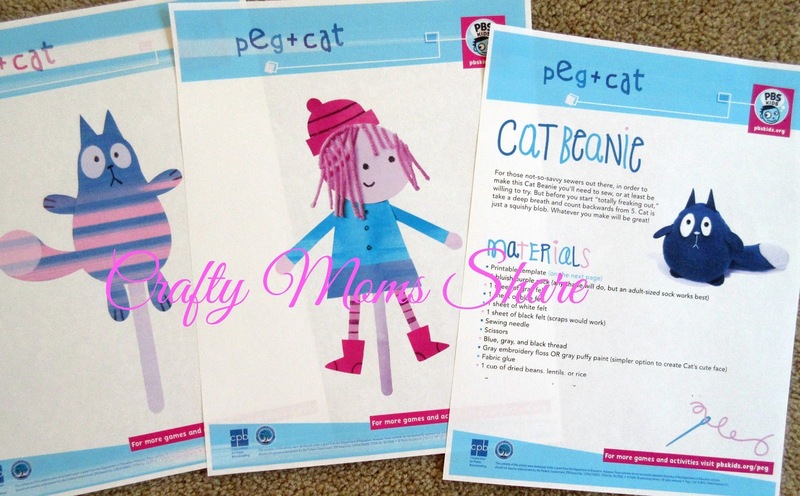 I definitely see some Peg + Cat crafts in our near future! The final DVD is new to us. 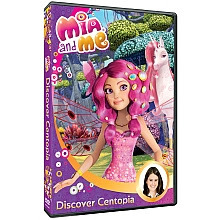 It is Mia and Me: Discover Centopia. This is not a newly released DVD however the new one is being released next week. This DVD goes between real life Mia and an elf Mia in a fantasy world called Centopia. Real life Mia has just lost her parents and has to start school at an international boarding school in Florence. Her schoolmates are not the nicest people. Her parents left her a gift of a book called Centopia, which her father use to read to her when she was young and a bracelet that is a game and takes her to the fantasy world. Centopia has elves (that we think are really fairies), unicorns and more. Mia helps the elves save the unicorns from the evil ones that want the unicorn horns to keep their queen young. Although at times scary, Hazel LOVES this DVD. We had to watch it three times in a row!! 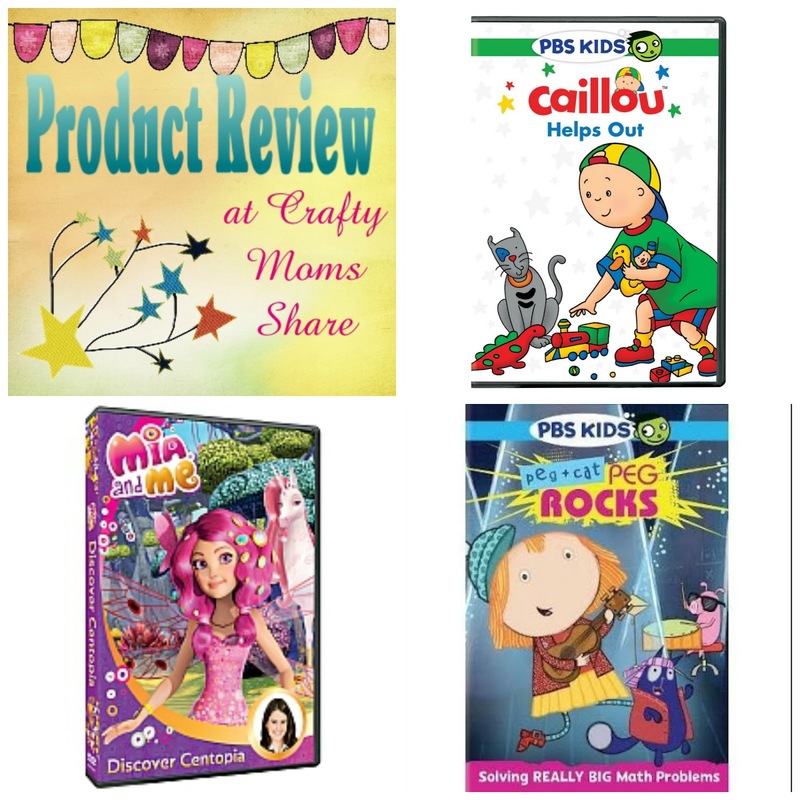 Needless to say we are big fans of Mia and Me! !